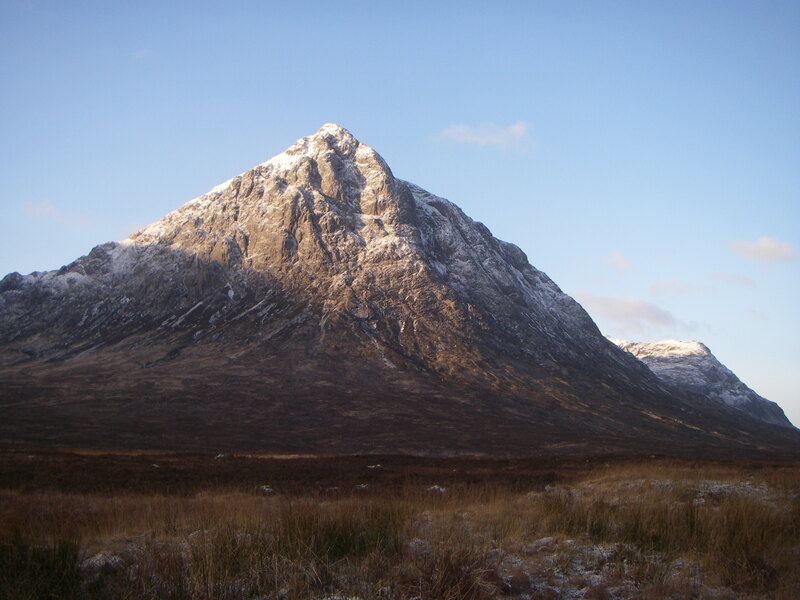 SAIS Glencoe Blog » Lovely winter’s day. It was a lovely winters day. 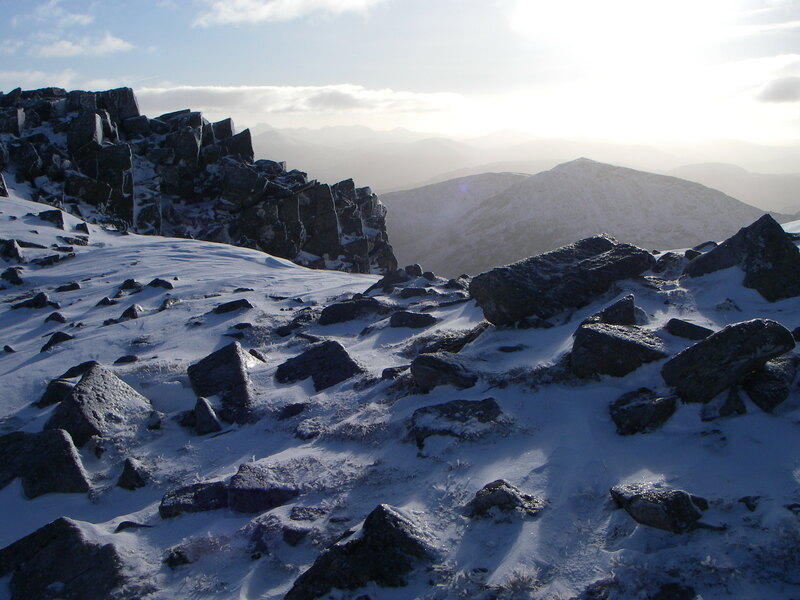 There was a very slight overnight dusting of snow down to low levels. There is still not a great deal of snow on the hills, but they do at least look a fair bit whiter than they have recently. Streams and water courses at higher levels are freezing quite rapidly at higher levels. Nice views driving through Glen Coe this morning. 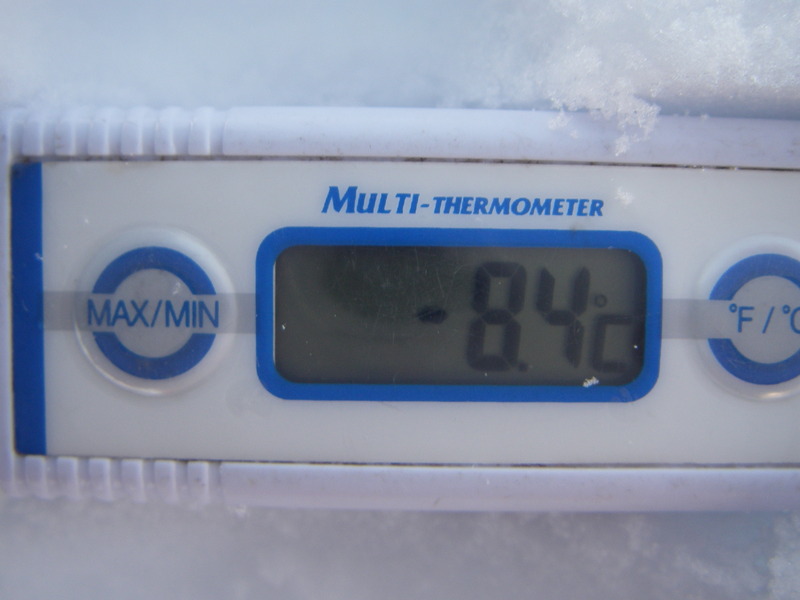 However, the snow surface temperature at the same location was a chilly -8.4C. The snow surface had cooled via the process of radiative cooling under the clear skies overnight. There is a wikipedia page on the subject if people want to read a bit more about it (https://en.wikipedia.org/wiki/Radiative_cooling). The low snow surface temperatures and generally shallow snowpack have created some strong temperature gradients. 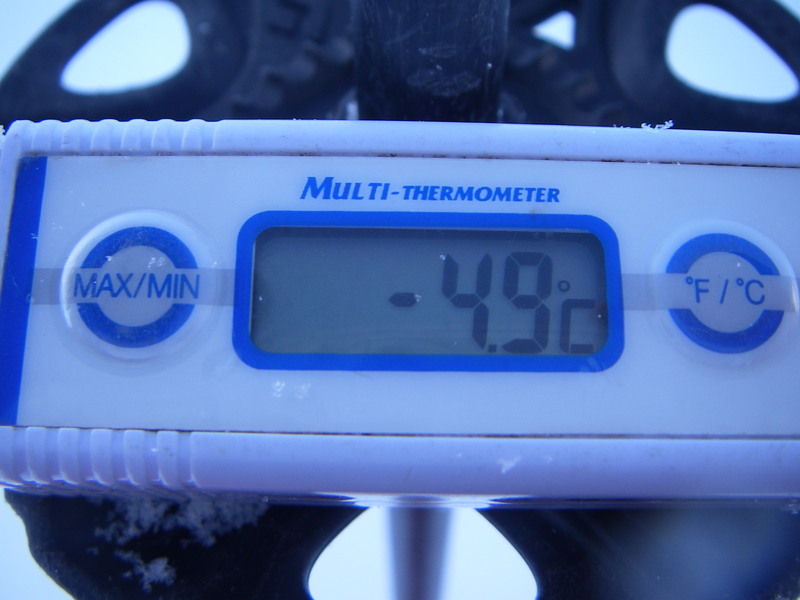 Strong temperature gradients can lead to the formation of instabilities in the snowpack. 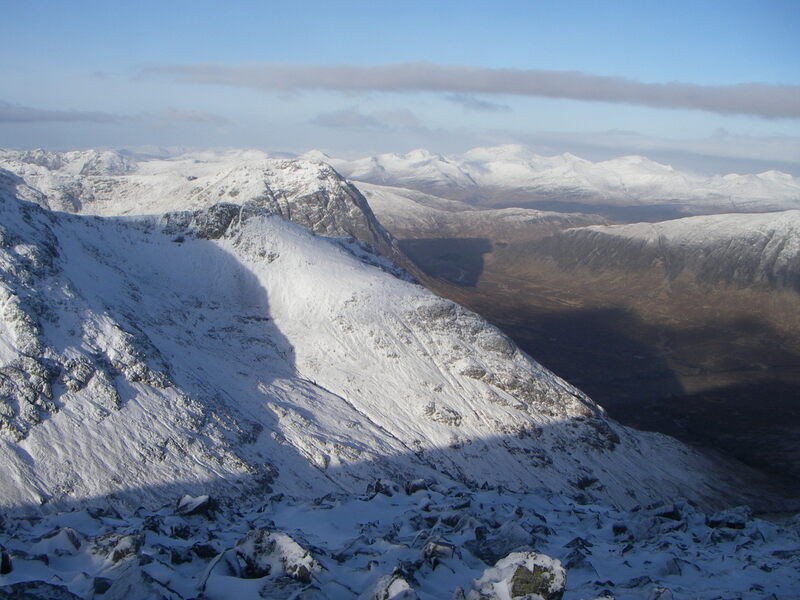 However, given how limited the snowpack is in Glen Coe, this should not be too much of a problem at the moment. 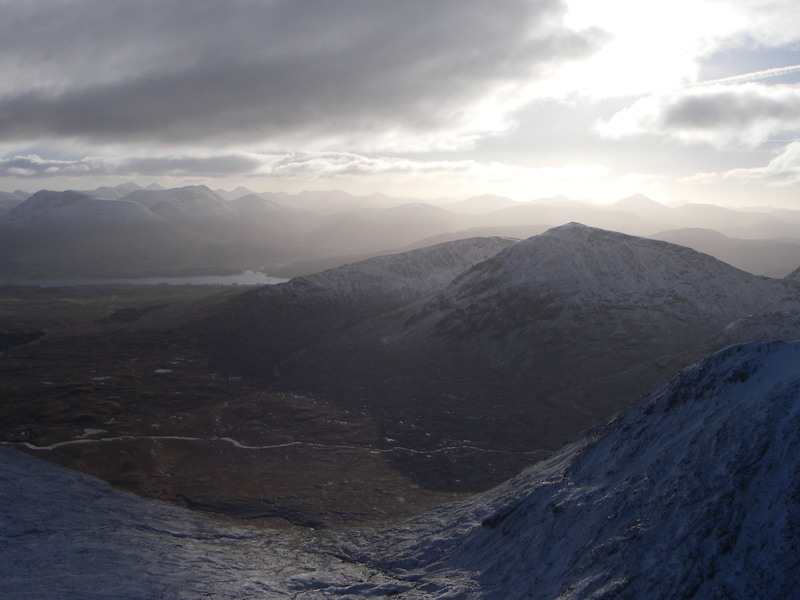 Looking South from near the summit of Meall a Bhuiridh. 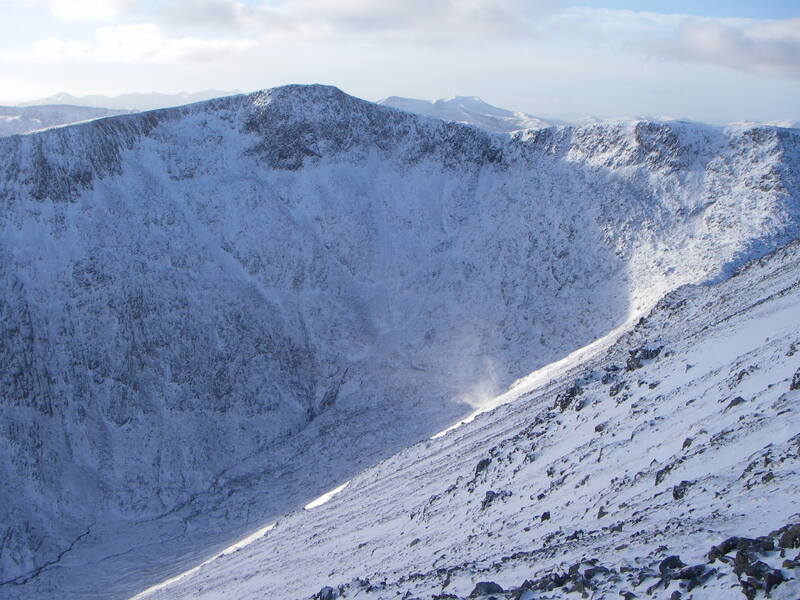 Coire an Easain. A wee swirly (whirlwind of snow) catching the sunshine. Looking North with Ben Nevis in the distance.